A cost effective storage solution for your garden, metal sheds are completely maintenance free, no painting or servicing is required after installation so there good looks last. 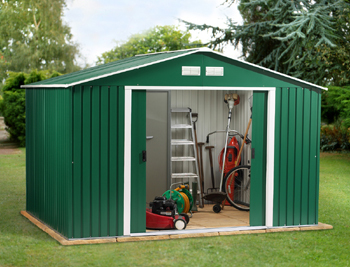 The Emerald range of Metal sheds are the latest buildings from Store More and have been born out of quality materials producing the best value steel shed on the current market. The Pre Painted Galvanised Steel Sheet, Utilised for the walls, roof and doors of these storage units, have five coats of paint combine this with the hot dipping galvanizing process it allows Store More to give the Emerald range a 15 year non-perforation Guarantee. 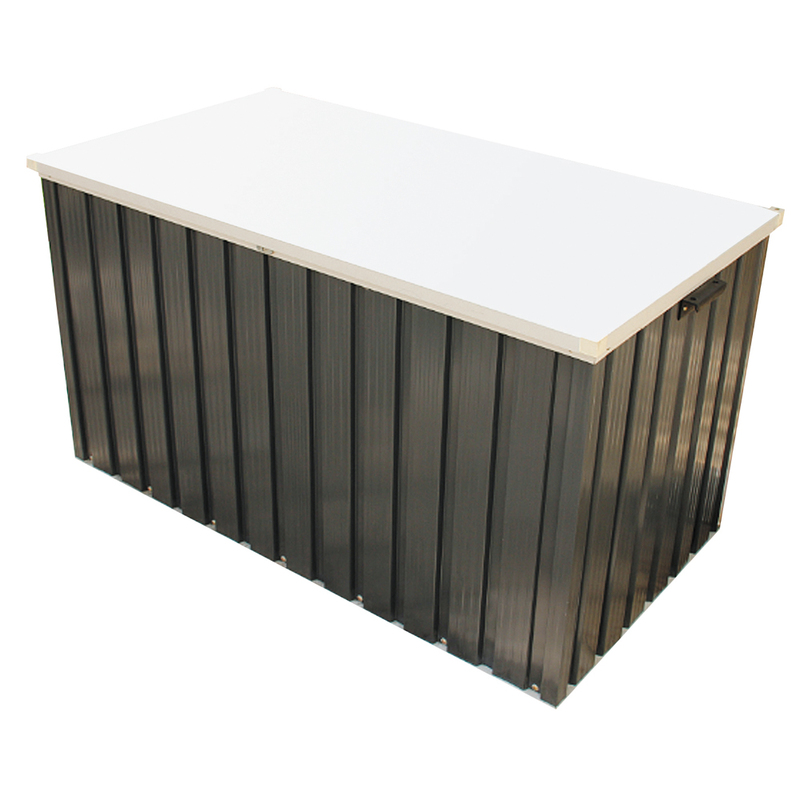 The Emerald Metal Sheds offer both the Hilti anchoring kit and foundation frame as optional extras so you can choose the best way to secure or floor your metal shed. Delivery is FREE to the UK mainland however surcharges may apply to offshore destinations or areas in Scotland outside Glasgow and Edinburgh Post Codes, please contact us for prices. The Emerald Parkdale Metal shed has rigid green metal walls made from profiled Pre Painted Galvanised Steel Sheet. Size 201cm x 182cm. 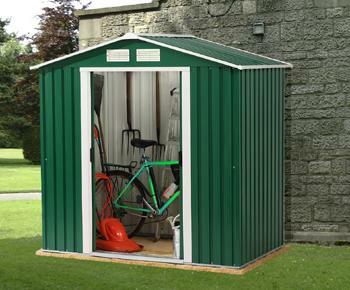 A Green Emerald metal shed the Parkdale comes with pad lockable doors and a ridge height of 6'6. Measuring 201cm wide and 242cm deep.